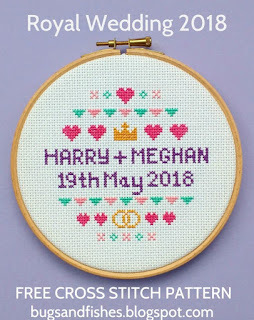 Stitch a kitsch memento of the Royal Wedding with this free cross stitch pattern! 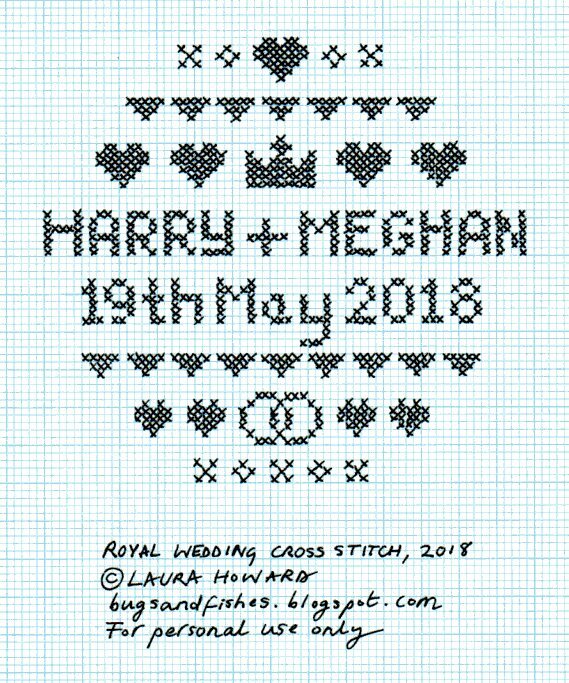 After sewing a small sampler celebrating Will & Kate's wedding back in 2011, I couldn't resist updating the design for Harry & Meghan's wedding this May. I stitched the design with stranded embroidery thread/floss (using three of the six strands) on 14 count aida fabric, then framed it in a six inch embroidery hoop. 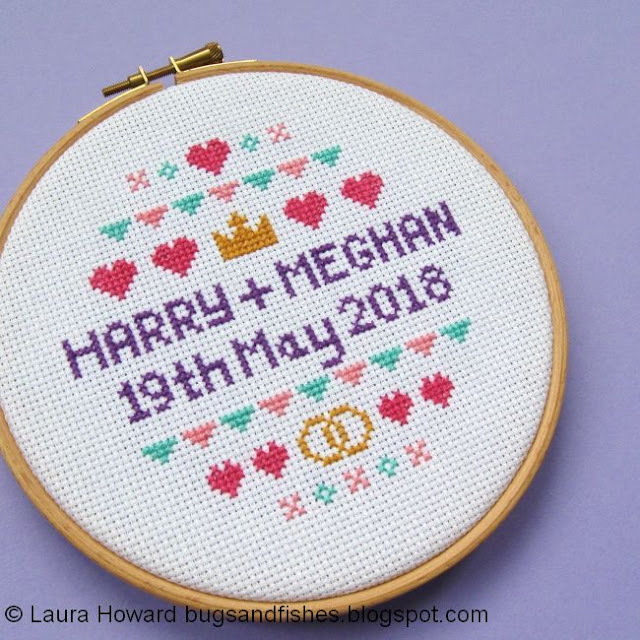 I opted for pink, purple and turquoise theme (with a golden orange colour for the crown and rings) but you could choose any colours you fancy! 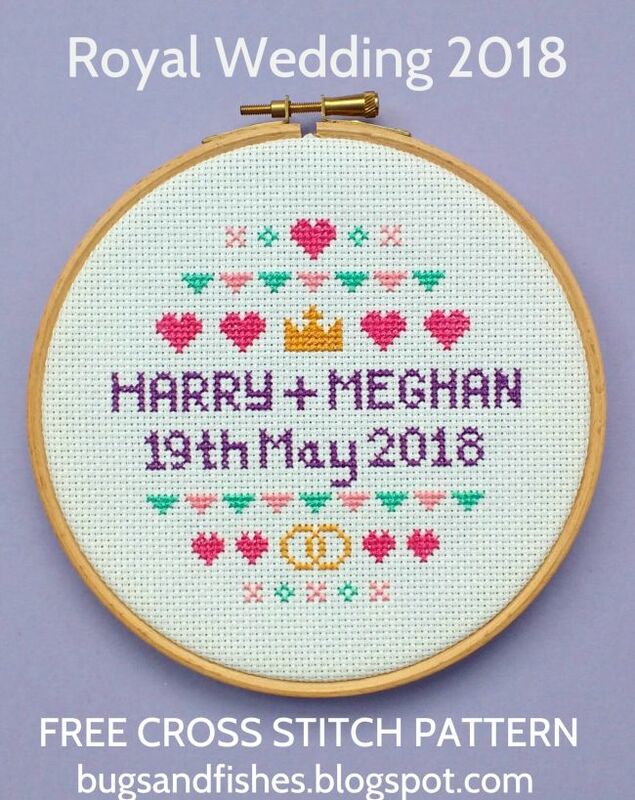 To print a copy of the pattern: open the image of the chart in another window or tab, make sure you're viewing it full size then print it at 100%. 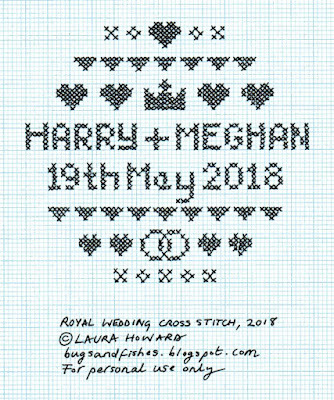 This pattern is for personal use only: you can use it to stitch as many wedding samplers as you want for yourself or as gifts, but please don't make any for sale. You may borrow a photo or two if you want to blog about this project, but remember to credit me and link back to the original source, and do not reproduce my entire post or share the pattern itself on your site. Thanks! Enjoyed this free pattern? Buy me a "coffee" and help support my blog! 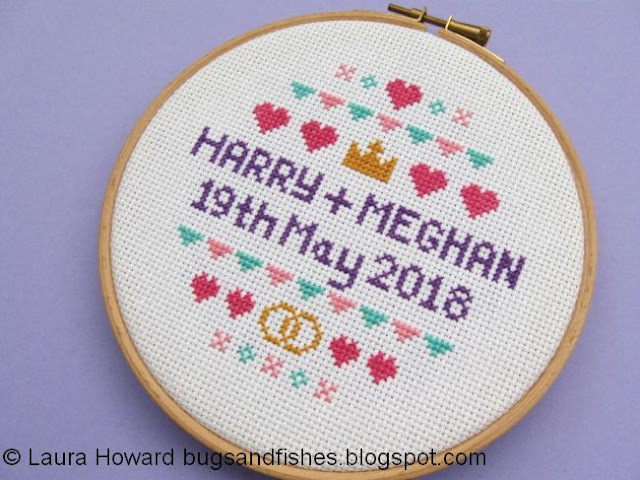 Subscribe to my newsletter for a monthly free pattern and visit my crafty tutorial archive for lots more free projects. Hi! I'm Laura "Lupin" Howard. 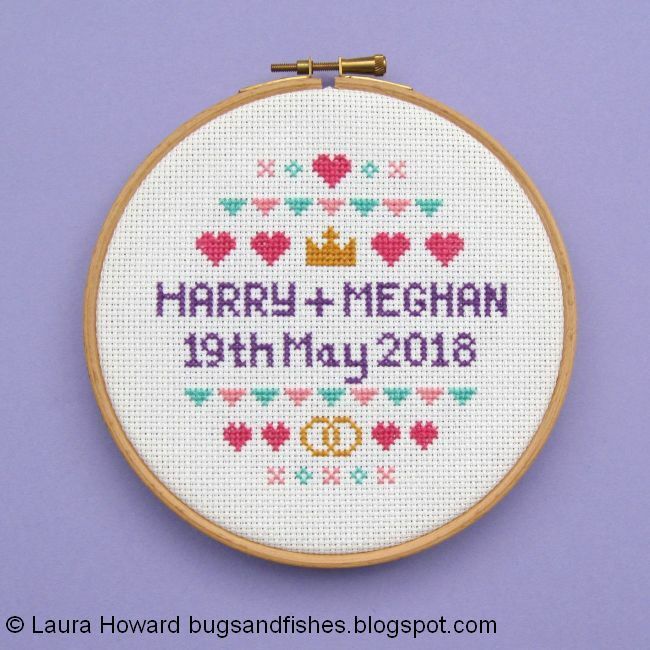 I'm a designer/maker and crafts writer, living near Bristol, UK. Check out my tutorials archive for lots of free projects. For crafty updates in your inbox and/or a monthly free pattern subscribe to my newsletter. The current project is a pair of floral embroidery patterns and the next pattern will be a felt barn owl. Visit my shop for PDF sewing patterns! Shop on Etsy for Instant PDF downloads! Unless otherwise stated, all text and images on this blog are © Laura Howard 2007 - 2019. Tutorials are for personal use only. Sew Felt Spring Flower Brooches With My Primroses Pattern! Next Week is Book Week!